We’re on a mission to address both sides of the healthcare equation: improving patients’ health and extending the capabilities and efficiency of healthcare companies. We aim to catalyze lasting behavior change for patients, wherever they are, to provide them with encouragement and motivation to achieve the best possible medical outcomes. At the same time, we provide deep insights to healthcare companies to optimize the efficacy of their services. We believe that to improve behavior you have to measure it—and keep measuring it over the long term. That’s why we made Mabu—because a platform should be easy to use, engaging, and tailored to each patient. Dr. Cory Kidd is the founder and CEO of Catalia Health. Dr. Kidd has been working in healthcare technology for nearly two decades. The focus of his work has been applying innovative technologies towards solving large-scale healthcare challenges. His previous company, Intuitive Automata, created interactive coaches for weight loss. Prior to this, Dr. Kidd received his M.S. and Ph.D. at the MIT Media Lab in human-robot interaction. While there, he conducted studies that showed the psychological and clinical advantages of using a physical robot over screen-based interactions. Gary Arnold is the Chief Technology Officer at Catalia Health. His work ranges from ensuring Mabu’s face tracking software is on-point to overseeing integration between Catalia Health’s platform and our customer’s IT systems. After studying computer science at the University of California at Berkeley, Gary spent his career as a technology generalist working at all levels of technology, from hardware systems to web pages, adapting to new industries and challenges. 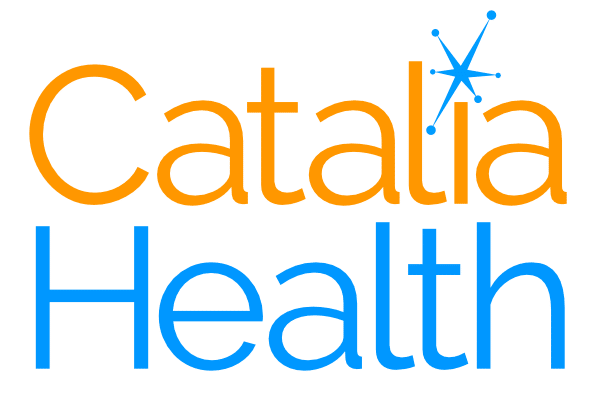 Devon Edwards is the COO at Catalia Health. Devon is an operations, business partnership, and strategy expert. He focuses on understanding and forecasting customer needs, and asking lots of questions. He’s also a former attorney who practiced at Morrison & Foerster LLP. He received his J.D. from the University of Texas where he was an editor of the Texas Law Review. He received his AB from Princeton University. Ninette Tan is an RN and the Director Of Operations at Catalia Health where she is responsible for developing processes around rollout and ongoing support of patients and health customers. She is in charge of ensuring safety and accuracy in delivery of care for patients. Her previous roles include building operations at early stage health technology companies in partnership with health systems such as the Mayo Clinic. Charles Wu is the Director of Product Management at Catalia. Charles is responsible for coordinating the requirements and features for Mabu and the associated supporting services. Prior to Catalia, Charles oversaw the Pivotal Web Services hosted applications platform and has worked at Twitter, Facebook, Yahoo and Motorola. Charles received his AB in Computer Science and Biochemistry and an MS in Computer Engineering from University of Colorado, Boulder. He has been awarded five patents. Kris Dos Santos is the co-founder and the Mechanical Engineering Lead of Catalia Health. Kris has taken on the role of design and manufacturing of the robot that implements Catalia’s combination of psychology and AI. Kris received his B.S. in Mechanical Engineering at MIT, and researched with Personal Robots Group at the MIT Media Lab, where he also received his M.S. He has previously worked on projects with Boston Children’s Hospital, Cooper Perkins Inc., and Google Robotics. Dr. Brian Mirletz is the Anthropomorphism (Robot Interaction) Engineer at Catalia Health. His role includes developing Mabu’s speech recognition software and conversation animations. Brian received his M.S. and Ph.D. from Case Western Reserve University in biologically inspired robotics. His projects there ranged from cockroach inspired navigation to adaptive control of spine-like tensegrity robots, and included collaborations with NASA Ames Research Center. Responsible for daily conversations with the patient to help them get the most out of their treatment. Ask patients on a daily basis whether they stick with with their treatment program, how they are feeling, and provide wellness tips. Always learning! Dr. Komal Patel is the resident Clinical Pharmacist at Catalia Health and excels in finding innovative means to achieve better patient outcomes. She brings a unique understanding of the healthcare industry with her through her consulting experiences, leading clinical program development, and heading operations management for specialty pharmacies. Komal received her Doctor of Pharmacy degree from the University of Southern California, School of Pharmacy, and has been known in the pharmacy industry for her advocacy efforts in changing healthcare policy to improve patient access to care. Carla Layne is the executive assistant at Catalia Health, where she manages day-to-day operations of our office, finances, and logistics. With experience at several successful SF-based startups including Twilio and Kiip, Carla has an understanding of startup culture and the ability to work with a wide variety of people inside and outside of a company. Prior to working in the Bay Area startup world, Carla was a professional makeup artist for television and Broadway. Her career in Los Angeles and New York included significant time at Warner Brothers and MTV in addition to numerous productions. Jill Greczek is the Human-Robot Interaction Engineer at Catalia Health. Her expertise is in combining artificial intelligence with expert knowledge from interdisciplinary teams to create the best interaction with Mabu for each patient. Jill received her M.S. in Computer Science working in the Interaction Lab at the University of Southern California, where her research focused on the practical deployment of autonomous social robots in homes, schools, hospitals, and other real-world settings. George Ajlouny is the Quality Manager at Catalia Health, where he is responsible in developing and executing the quality management system for Mabu. George works with the engineering group to validate their hard work. He brings his experience in the Quality and Validation environment from Genentech, Novartis, and Amgen. Having Type 1 Diabetes, he believes his passion for healthcare and wellness for chronic diseases can be made more manageable with the help of Mabu. He received his B.S. in Biochemical Engineering from the University of California, Davis. While user experience and service design are team sports, Stacey Seronick is the quarterback of UX at Catalia Health, asking "why?" and "how?" until patterns and insights are revealed which she can expose back to the team, in order to facilitate the best possible experience for our patients, customers, and partners. Prior to working at Catalia Health, Stacey has designed, managed, and strategized for humans of all sorts for over 20 years, ranging from gigantic corporations, such as Wells Fargo Bank, to mid-size multi-national advertising agencies, like Arnold Worldwide (Havas), and ed-tech and non-profits small and large. She has also founded and managed a couple of her own businesses, including a line of couture fashion and an independent record label. In her spare time, Stacey enjoys facilitating hands-on workshops, painting, traveling, and people-watching. Amruta Pimple is a Quality Assurance Engineer at Catalia Health. She has diversified experience in IT industry which includes Media,ERP, Healthcare,etc. and her role at Catalia health includes managing our testing infrastructure to ensure quality of Mabu platform by drawing test plans and conducting automated tests on Mabu. Amruta received her M.S. in Computer Science from Illinois Institute of Technology, where her research focused on the sentiment analysis based on collection of customer reviews from Twitter. Prior to Catalia, Amruta ensured quality and CI/CD Process of the application and has worked on different projects from Disney, Chevron and Blue Cross Blue Shield. Steve is a serial startup founder with five successful exits. He is currently the Managing Director at Fresco Capital, which invests in companies building products for enterprises. Steve worked as the Chief Strategy Officer at Telerik, whose mission was to make software development easier and more enjoyable. Telerik's tools for agile project management, collaboration, development and testing allowed companies of all sizes to create richer, more stable and aesthetic software faster than ever before. Vytas is an advisor to Catalia Health, primarily aiding Catalia with its robotics, though he's been known to also provide an ergonomic assessment or two. He is an entrepreneurial researcher moving fluidly between leading startups and building research labs to explore cutting edge robotic technologies. Over the last 20 years he has been the founder and CTO of multiple startups, has launched a number of robotics projects at NASA, and is currently the Principle Investigator of the Dynamic Tensegrity Robotics Lab (DTRL) at NASA Ames Research Center. He motivates multi-disciplinary teams to push the boundaries of science, while communicating our successes to the world and attracting collaborators, funding, and customers. Jon Logan helps Catalia Health design their product management and communication processes. He is a product development expert with 15 years of experience in software & media, spanning mobile, e-commerce, security, film/TV/audio, and HW development + manufacturing. These broad experiences in coding and product development provide a unique and broad skillset almost every area of product development, and the ability to tackle problems in any discipline.